Many of those models came with a supercharger. Those cars can also be affected. So what is the fault? Like it's Ford and GM counterparts, this V-design engine can suffer from a common issue of the intake manifold gasket leaking. While the Ford failure is typically caused by a cracking of the plastic manifold, the Buick motor usually sees a failure of it's composite gasket in a manner very similar to the GM Vortec intake manifolds. This isn't very surprising considering they're both GM designed motors. Even though they're very different motors, they share a lot of very similar design principles. Symptoms of this failure include over heating, poor running, loss of coolant, coolant smell coming from under the hood, and a brown sludge in the oil and coolant. 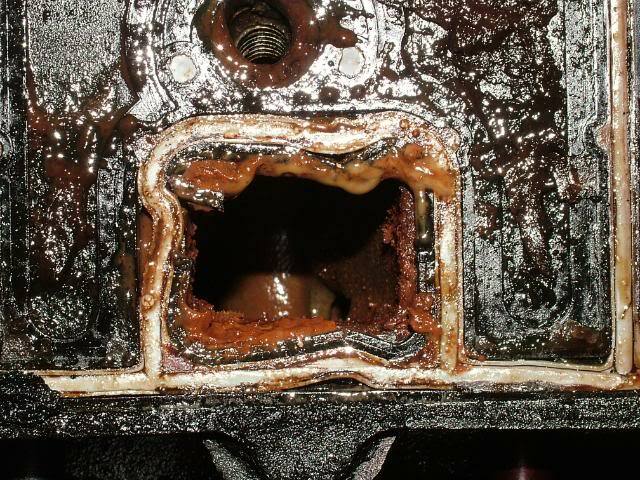 Ignoring this issue can result in catastrophic engine damage due to a head gasket failure and/or hydro-locking. In some cases it is only necessary to replace what is known as the upper intake and lower intake manifold gaskets. However, it may be necessary to also replace the plastic upper manifold itself. An example of a new upper manifold and it's location is below. While the upper intake is plastic the lower intake is aluminum. That means that while lower intake manifold gaskets also need replacing, the lower manifold itself is almost always re-useable. The lower intake manifold and it's location are shown below. When the vehicle is apart for this repair, there are other wear items that should be considered for replacement as well for longevity. This can include the plastic heater hose elbows, the serpentine belt and tensioner, a new thermostat, and the water pump, valve cover gaskets, and other incidentals. If the oil and/or coolant are shown to be "brown sludge" the vehicle will also need it's cooling system flushed, and will need an oil change. HPMotors is capable of testing your car to see if it is experiencing this failure. If you have any of the symptoms mentioned above, give us a call for testing and peace of mind.